It was announced at the Microsoft Ignite 2018 conference that the Microsoft Office 365 application StaffHub will be retired on October 1, 2019. Microsoft StaffHub gave organizations a digital platform for managing shifts and schedules for workers. Supervisors can create shifts and push those schedules out to front line workers, and staff also had the ability to request shift changes from their supervisors and request switches with co-workers. 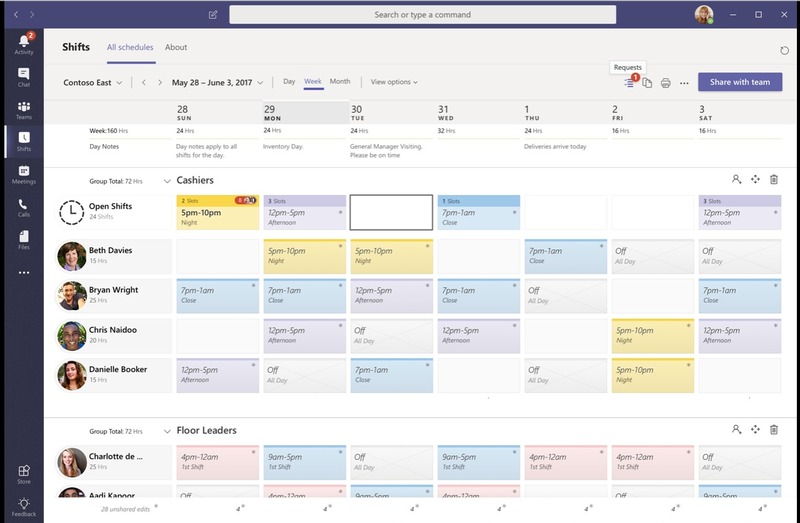 Inside of Microsoft StaffHub, there was a social and collaboration feature set which aligned with the Microsoft Teams current functionality. By retiring StaffHub and merging with Microsoft Teams, which is already a great communication and collaboration tool, Microsoft is reducing the spread of similar solutions across the Office 365 platform. This will make for a much better end user experience by cutting down on the amount of application switching to complete different tasks. The merging of StaffHub features into Teams will happen on two fronts within the Microsoft Teams application. The Home screen will allow for workers to see important information for their day, clock in / out, receive alerts, as well as view who else is scheduled on the shift. There will also be a Shifts tab where supervisors / managers can create, edit, and push the schedules out to their workers. 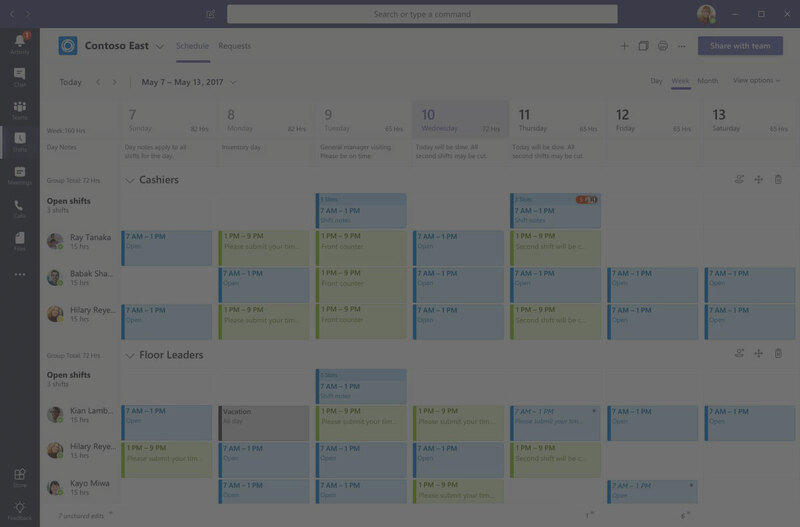 How Do I Create and Manage Shift Schedules in Microsoft Teams? 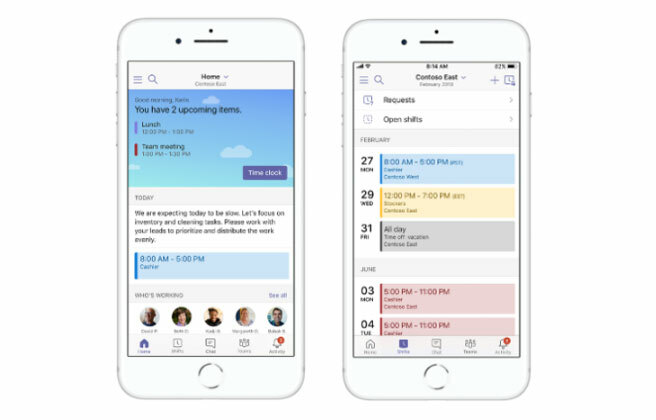 If you’re ready to get started creating and managing shift schedules in Microsoft Teams, Microsoft has provided a quick tutorial to guide you through the exact steps for both Desktop and Mobile devices. Click here to view the tutorial. What Will Happen Once StaffHub is Retired? What Should I Do to Prepare for the Transition to Teams? Ready to Start Your Transition to Microsoft Teams? These exciting new changes from Microsoft are part of their continued goal to empower every employee with Microsoft 365. With capabilities for firstline workers coming to Microsoft Teams, every employee in your organization will be able to leverage Teams to streamline their workday, collaborate with coworkers, and access information and expertise to help them do their best work. If you are currently using StaffHub and would like help transitioning to Microsoft Teams, Imaginet is here to help. Our Imaginet certified Office 365 and Teams experts can help you get started with Teams through our Microsoft Teams Quick Start program. To find out more, schedule your free consultation call with Imaginet today.